Iowa City is losing its last video store. Family Video is closing. Unfortunately this location will be closing. From 1/28 – 2/11 we will only be open from 12-8 and we will be liquidating our entire inventory by having a massive movie and game sale. The Family Video location in North Liberty will remain open. Family Video grew out of Midstates Appliance & Supply Company, which was owned by the Hoogland family. According to the Glenville, Illinois-based company’s website, “In the 1970s, Midstates got ‘stuck’ with a large quantity of videos,” so the Hooglands decided to start a new business. 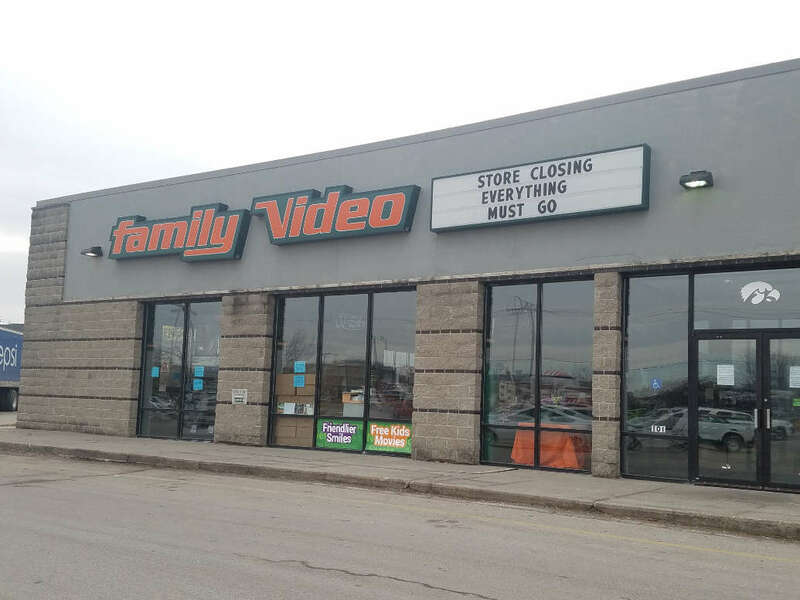 Like other video store chains, Family Video has seen a decline in business during the last two decades, but it is still doing better than Blockbuster Video. Blockbuster, which was once the dominant national chain of video stores with more than 2,000 stores, currently has only eight stores — one in Oregon and the remaining seven in Alaska. According to Family Video’s website, the chain has more 750 stores in 19 states and Canada. On Feb. 11, that number will decrease by one. Q&A: Jamie Quatro speaks in-depth about ‘Fire Sermon,’ faith and fascinationYour Village: What happened to Iowa City’s tree sweaters?